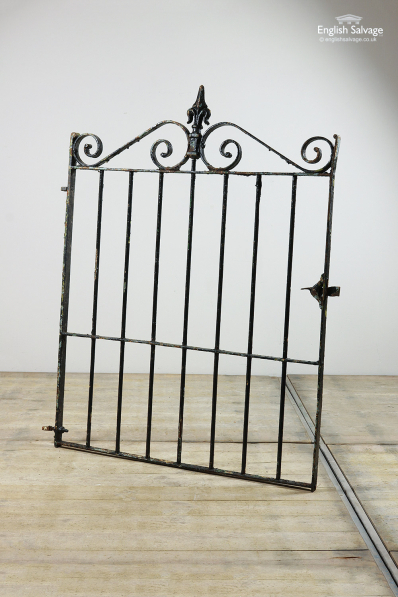 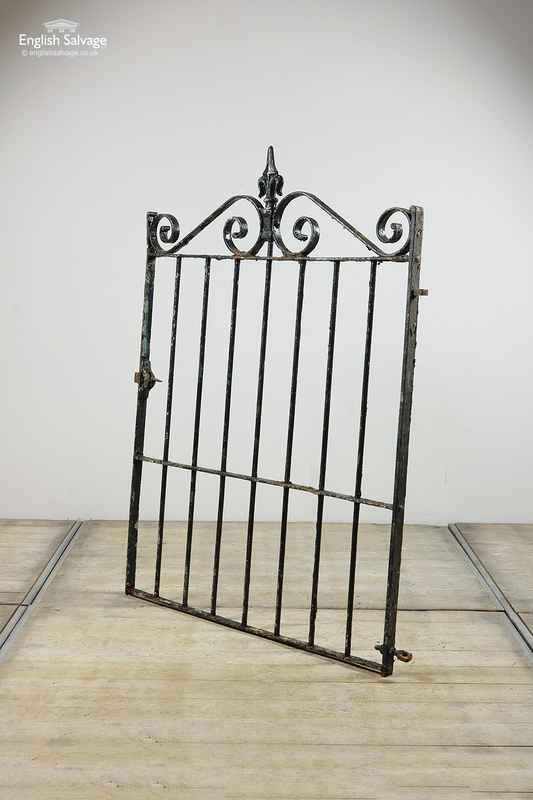 Reclaimed painted black single pedestrian gate. The width stated below doesn't include latch which projects a further 3.5cm and the lugs which are an additional 3.3cm. 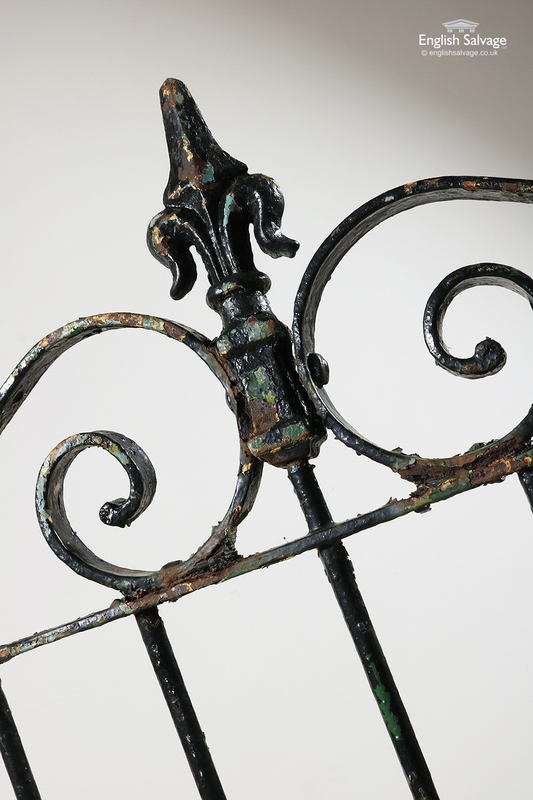 Peeling paint and rust spots.